This photo was taken on Simcoe St approaching Vienna St in Tillsonburg, ON. 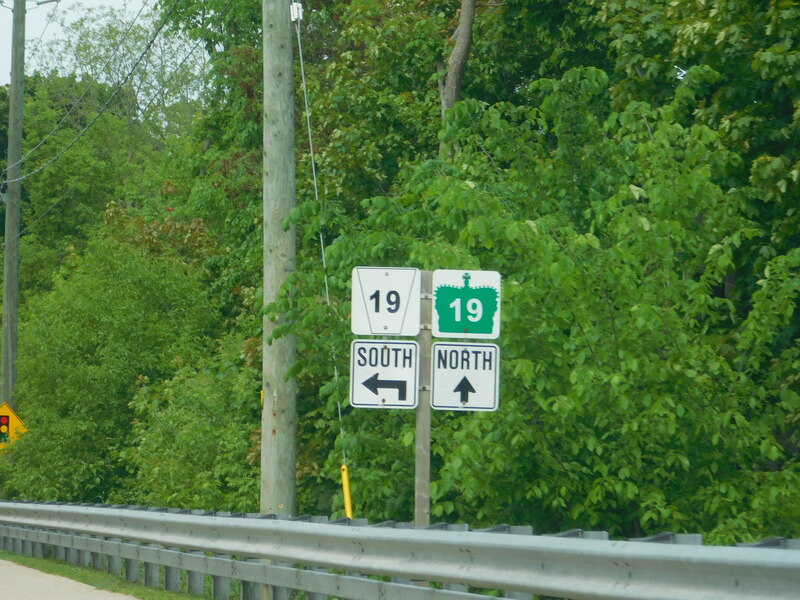 The sign on the left implies that turning left puts you on county road 19, but technically that section is still highway 19 until it ends at highway 3. It's also an ugly sign to boot! There's also another one at the intersection seen in the distance (not pictured). The guide signs closer to the US 44 interchange are older and correct. In addition; note the odd location/position of the upright arrow, placed in-between the 44 & 58 shields on the lower D8 LGS. Typically, MassDOT places the upright arrow either to the left or right of the route shield(s). 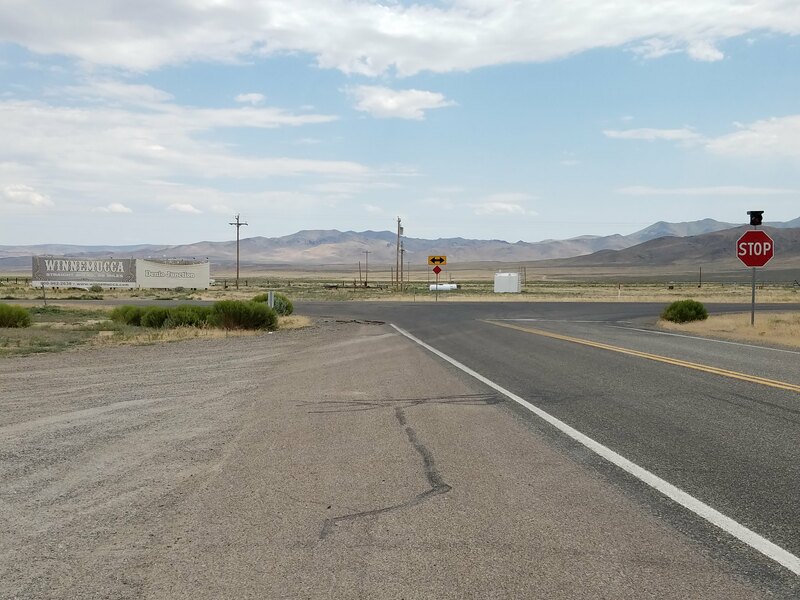 Such a complete mess - they made US 44 a state route plus put up brand new signs routing people down old 44 and not the freeway portion that's been there for over a decade. 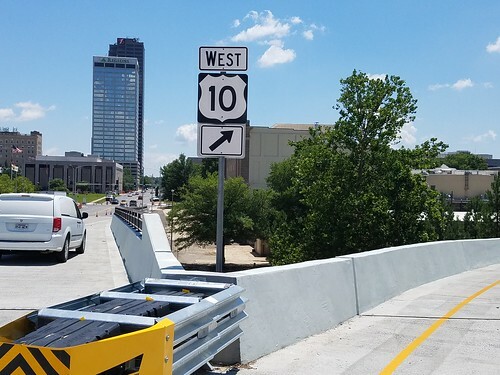 US 10 for AR 10 in Little Rock. Not quite sure if this is an error or of LADOTD made 3003 a southbound route for only 100 feet. I've noticed some short-ish Louisiana routes don't easily follow the east-west/north-south pattern, so they avoid the directional banner altogether, like Texas. Stanley Roberts of KRON-4 in San Francisco tweeted this from San Leandro. Like those OLNY pavement markings. Or the SOTP ones. And these have happened in both sides of the pond . A bit more understandable in España, though. Do stop signs or pavement markings ever read "Alto"? This one here has CR 39 shown for the guide to the right ahead while the following c/d ramp is shown as FL 39. However, once off the first ramp the signs at the end of the ramp show it as FL 39! 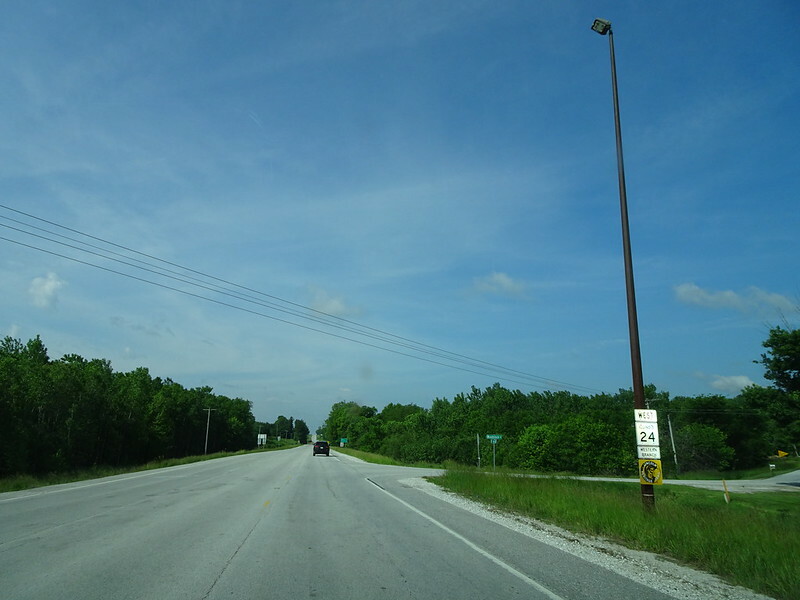 In fact all of what is to be Hillsorough County Road 39 is signed as FL 39 throughout Plant City. Apparently someone at FDOT did a big goof as there was no official move of State Road 39 onto Alexander Street and no commissioning of a Hillsborough County Road 39 in Plant City using what was always FL 39. So until both FDOT and Plant City decide which alignment is going to be FL 39, it is safe to say that it never moved and all signs still show FL 39 as is on Buchman Highway and all other city streets is uses within Plant City is the real Route 39 and the county designation is not really applied as well as Alexander Street being officially SR 39A. This sign is actually correct. Keep one lane through this section during the afternoon rush. And then up ahead at Arizona, all traffic must turn left in the afternoon because Canal is one-way the wrong way at this point. But it is confusing enough that I believe electronic signs are warranted for this stretch. Another aspect I hate is that there should be a warning about this on the Beltway. Traffic heading into the city during the afternoon rush should only take the GW Pkwy as the Clara Barton becomes one-way, the wrong way, a short distance south of the Beltway to match the reversible nature of Canal Rd. I was unable to get a picture of this, but if anyone here drives on southbound 14 Street in DC passing the Bureau of Engraving and Printing, see if you can get a picture of the new sign that says "PEDESTIRANS" are prohibited. I've seen "ALTO" signs on Cozumel. My understanding was that Mexico used "ALTO" for all stop signs. Vienna signatories seem to use STOP, regardless of primary language (although I imagine some countries use their primary language anyways). Turkey uses DUR (durmak = to stop). I think PARE is the norm in South America. Not a road sign, but I'm sure this billboard's been noticed before by one of you. 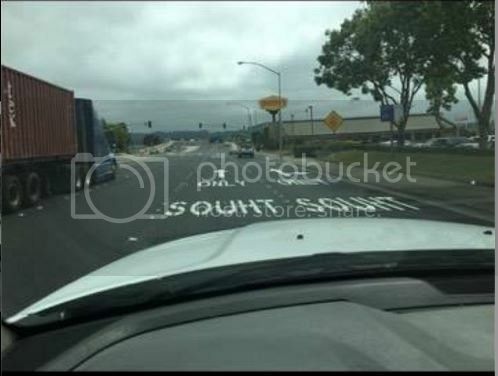 Straight ahead at a T intersection? The I-35 and SH-9 shields are swapped, leading to an interesting "west I-35" error. How the hell does the DOT crew not notice it?